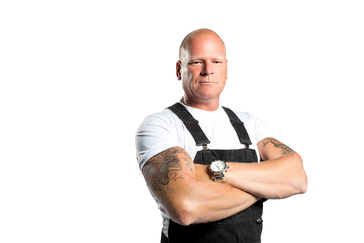 Timber Block CEO Mike Mathon, together with our entire team of experts announced a partnership with one of the most respected contractors, television host, educator and influencers in the construction industry...Mike Holmes. Timber Block is more than proud to offer a product that will now be "Holmes Approved". This partnership was a natural fit, with the Holmes group sharing the same values, goals and dedication to building the highest quality of homes. Home...and this is just the first step. Timber Block, together with Mike Holmes and his team will continuously work towards developing new processes and procedures to continue to help home builders provide energy efficient, top quality homes across North America. 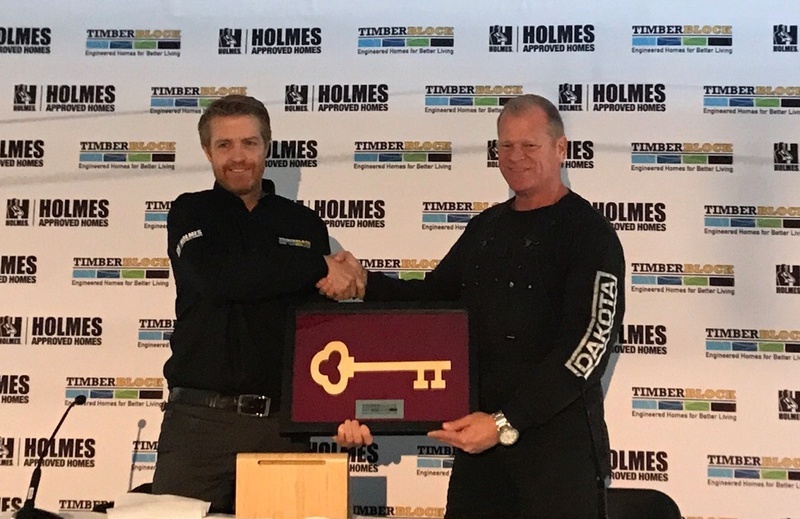 The partnership was officially launched when a symbolic key to the Timber Block Factory was given to Mike Holmes. The event took place Saturday, November 18, at Timber Block's Innisfil, Ontario location with an official press conference followed by a cocktail reception, with invited guests and local personalities. Pictures of the event can be found on Timber Block's Facebook and Instagram pages! Stay tuned, more photos and a video series of the celebration are to come. Mathon took the opportunity to announce the Timber Block Building Services Division. This new initiative takes our well-received Construction Concierge Service to an even higher level. This will allow our clients to take advantage of the ultimate, Timber Block Full Custom Experience by offering a complete turn-key option. For our Partner Builders, this will strenghten our field expertise and adopt the highest level of practices to further grow our partner's client base. The Partnership with the Holmes Group and the addition of the Timber Block Building Services proves Timber Block's dedication to always exceeding expectations, and implementing a level of customer service above the rest, in addition to ensuring the highest quality in residential and commercial construction next year, and beyond. To learn more about our partnership with Mike Holmes, or our Timber Block Building Services Division, and what this means for our homeowners and partners, contact Timber Block today, or visit us a model home near you.